You love your dog, but sometimes that little pup can drive you bananas! All the non-stop loving and craving for attention can be a bit much from time to time, and we totally get it. We think we have the perfect costume for your little furry friend when he starts getting out of hand. 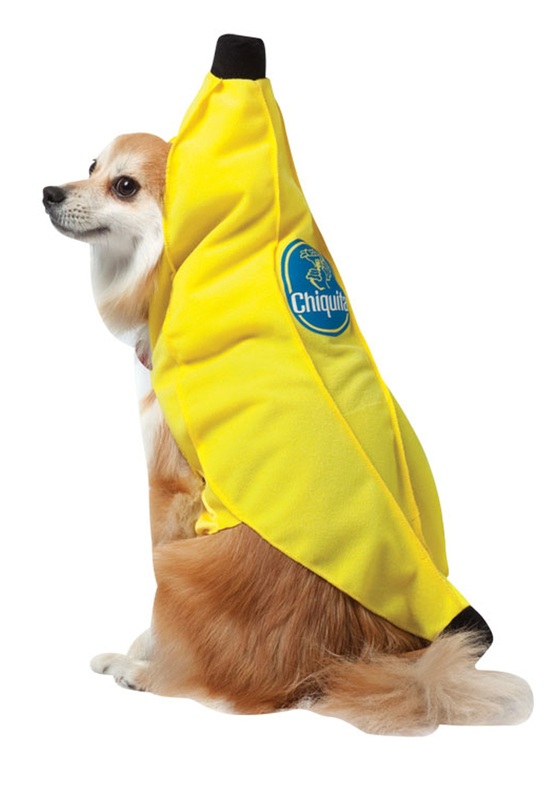 With this Chiquita Banana costume for dogs, you’ll be all laughs while you have a gigantic piece of fruit running around your home! The rest of your family and all of your neighbors will love seeing your pooch run around with this hilarious costume. With Halloween coming up it, will be the perfect way to include your pup in on the Halloween fun. The rest of the family can dress up as living pieces of fruit and walk around the block as a friendly fruit salad. You can even have your kids dress up as the Minions from the Despicable Me franchise and they can chase a minion’s favorite food, a banana, all around the town.